The FMLA covers most employers—but not most small businesses. Only private employers with 50 or more employees in 20 or more weeks in the previous calendar year must abide by the FMLA. The act also applies to all state and federal government employers, local governments and education employers. The FMLA allows for up to twelve weeks of unpaid leave for qualified employees in a 12-month period. In essence, the FMLA protects those workers’ jobs. While employers are not required to pay employees during the twelve weeks of leave, they cannot fire or lay them off because of a family or medical issue that is specified in the Act. Qualified employees are defined as those who have worked for a covered employer for a total of 12 months, with at least 1,250 hours worked in the preceding 12 months. Employers must restore employees back from FMLA to either their former position or an equivalent, and they must maintain any group health insurance benefits while the employee is out on FMLA. The FMLA’s covered family and medical conditions include a serious health problem requiring the employee to take medical leave; the birth and care of a newborn child; the adoption of a son or daughter; caring for an immediate family member with a serious health problem; and needs arising due to a family member’s call to duty through National Guard. Employees who are spouses and share in the birth or adoption of a child or the care of a family member together may only take a combined twelve weeks in a 12-month period. Employees who wish to use FMLA must provide the employer with a 30-day notice prior if possible. They must also provide the employer sufficient information to determine whether the FMLA applies to the employee’s situation. Legislation is a constantly changing reality for all of us who drive cars, buy and sell property, own a dog, talk on our cell phones, walk down the street, or just inhabit a city, town, county, or any other municipality in the U.S. Laws are something we don’t think about constantly—unless we’re planning to break some. For employers, legislation is something you must keep up with, or you can really get in trouble. Today we’ll review two laws covering employees that you should already know about, along some new laws that are pending or have passed recently. Lilly Ledbetter: The Lilly Ledbetter Fair Pay Act of 2009 is a result of the namesake’s pay discrimination lawsuit against Goodyear Tire & Rubber Co., which went to the U.S. Supreme Court. The Court heard arguments about a requirement, established by the 1964 Civil Rights Act, that equal-pay discrimination be addressed within a 180-day statute of limitations. The Court ruled it commenced from the day the pay was agreed upon, not the latest paycheck, overturning a lower court’s decision. The new law amends the CRA to reset the 180-day statute of limitations to begin with every discriminatory paycheck. Employee Freedom of Choice Act: This is pending legislation in the U.S. Congress, which would amend the National Labor Relations Act to make it easier for employees to form, join, or assist labor organizations. EFCA removes the secret ballot requirement that currently exists if employees want to form a union, guarantees workers a contract if they form a union, and strengthens penalties against companies who break laws during union organizing campaigns and first contract negotiations. FMLA: The Family and Medical Leave Act gives qualified employees of certain employers up to 12 weeks of unpaid leave per year. During the 12 weeks, the employee’s job and benefits must be protected. FMLA applies to public agencies, public and private schools, and companies of 50 or more employees. Employees must have worked for the employer for at least 12 months, and for at least 1,250 hours over the past 12 months. Under FMLA, qualifying reasons for leave include: the birth and care of a newborn child, the placement of a child for adoption or foster care, caring for an immediate family member with a serious health condition, or the employee’s own serious health condition. Another qualifying reason is in the case of an employee’s spouse, son, daughter, or parent’s active duty or call to active duty status as a member of the National Guard or Reserves. Plus, eligible employees may request up to 26 weeks of unpaid leave to care for an immediate family Armed Forces service member with a serious injury or illness. 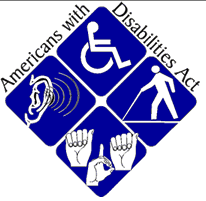 ADA: The Americans With Disabilities Act of 1990 prohibits employers from discriminating against qualified individuals with disabilities in hiring, firing, advancement, compensation, and job training. The ADA covers employers with 15 or more employees. The ADA also requires employers to make reasonable accommodations to the employee’s disability if it does not impose a hardship on the employer’s business. In hiring, the ADA prohibits employers from asking job applicants about the existence, nature, or severity of a disability. Applicants may be asked about their ability to perform specific job functions. 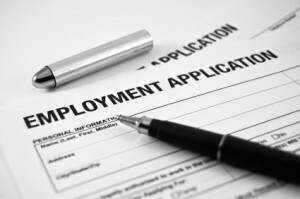 Medical examinations may be required of an applicant with a disability, but only if the exam is required for all new employees in similar jobs. That’s the legislative update for now; more to come!